This video was designed to be played to players to give them a crash course in the world of Fates Worse Than Death. Around The Block v2.0: Create random city blocks, building interiors and random NPCs. 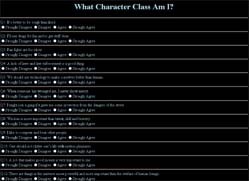 Character Class Personality Test: Answer 20 multiple choice questions and find out which of the 46 character classes from the game best fit your viewpoint. You can also take this test in Turkish . 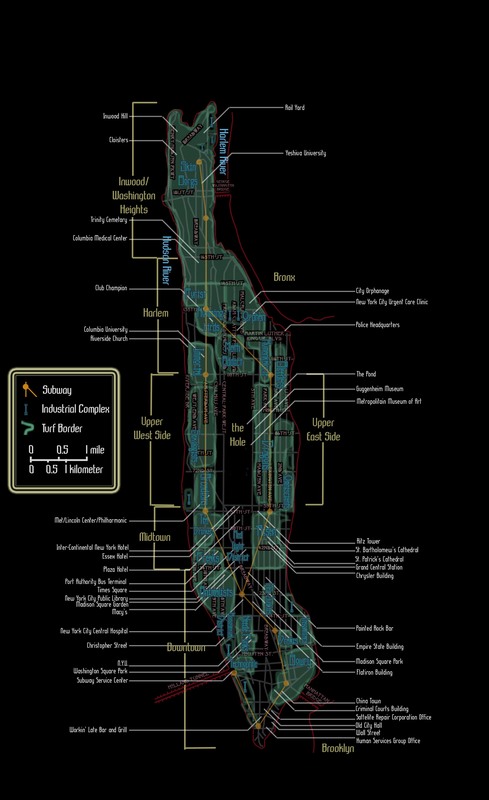 Interactive Map: Explore the city with this interactive map. Dirk Vandereyken gives us a thrilling new look at the Fates Worse Than Death universe in the first Fates Worse Than Death novel. He was raised to be a killer, given extensive training in virtual reality and the best implants. He has no memories besides his training. He doesn’t even have a name. Those he works for send him out into 2080’s most dangerous ghetto to kill people they say are a drain on society. He has always killed without question, with skill and efficiency. Yet now he is starting to ask questions, questions that may destroy him. Game Overview An overview of the setting and game. Being Muslim in 2080 A brief guide for playing Muslim characters. 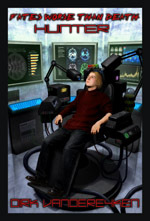 Being Gay in 2080 (pdf) From the FWTD sourcebook Behind the Eyes of Madness. FAQ: Where did you get your ideas for Fates Worse Than Death? FAQ: What is the population of ethnic groups in 2080? Where are they located in the city? Are there still any ethnic gangs? The World’s Greatest Serial Killer A short-story in the FWTD world (warning: the ending will only make sense if you’ve read FWTD, also the story contains graphic bad-stuff). Sin’s New Drug A more light-hearted story in the FWTD world. An Androgynous Being of Indeterminate Race A Fates story. French translation of Ch. 1 (Character Creation) of FWTD (5MB pdf), Ch. 2 (Organic Rule Components) (1MB pdf), Ch. 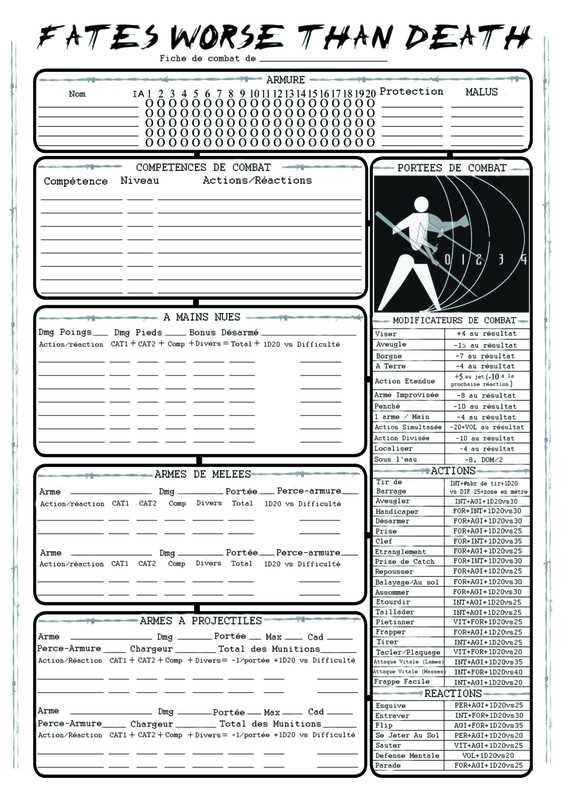 3 (Black Market), Character Sheet and Combat Sheet. Open Game Flyer A ready-to-print flyer for advertising a Fates Worse Than Death session. Adventure Record A page to print for GMs to keep a record of XP earned during play. 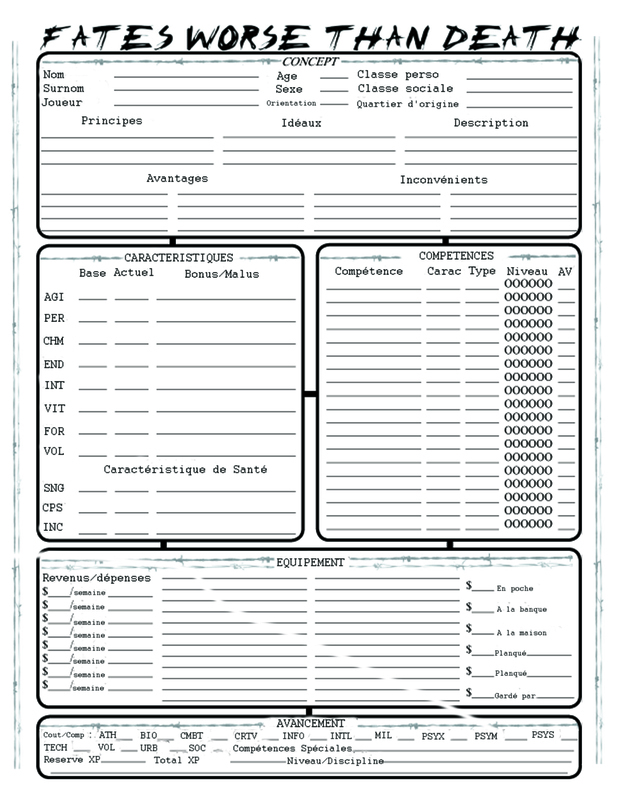 FWTD GM Screen (1.2MB pdf) You can print it out and paste it to some cardboard. FAQ: What are the rules for healing damage? FAQ: Is there an endurance cost for special skills like Sense Impurity? FAQ: Is there a duration for Psychic skills or do they last as long as you continue to concentrate? 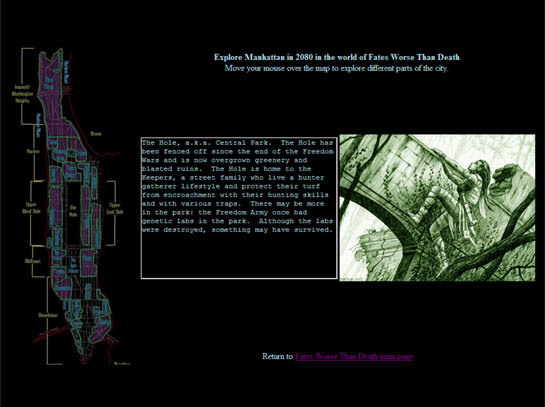 A Walk Outside Rules for a shut-ins-on-the-streets campaign for FWTD. 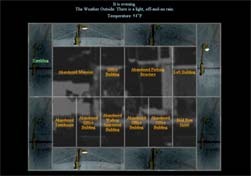 Walk Outside Con Adventure An introductory adventure using pregen shut-in characters. Healing Rules By popular demand. Junker Car Rules Cut the price of a car drastically – by buying a car with a few flaws. 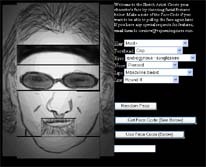 Behind the Eyes of Madness: The Profiling skill has Math (1) as a prerequisite, not Statistics (1). Guide du Roliste Galactique‘s FWTD French Tagline Contest winner: “Espérer le meilleur… Etre prêt au pire” (Hope for the best… Prepare for the worst) by Amandine Simonnet. Art by Lorie Albrecht, A ‘Lis, Samuel Araya, Paul C Butler, Leanne Buckley, Lance William Card, Jhoneil Centeno, Kari Christensen, Laura Dubuk, Randy Gallegos, Jason Juta, Kyri Konitou, Britt Martin, Rik Martin, Staffan Melin, Katie Miranda, Martina Pilcerova, Brian St.Claire-King, Jason Walton, Kierran Yanner, Ursula Vernon. A story in the world of Fates Worse Than Death. Discuss this podcast on Burn Immediately.